Tea and Crafting is run by someone who sounds like she is as passionate about making things as I am but has actually gone and made a good business out of it too. I’m naturally jealous. I used my voucher for a crochet granny squares workshop. I’ve been trying to teach myself to crochet for some time but just never quite felt I had the hang of it. This class was really fantastic. I’ve learned the proper way to hold yarn and the crochet hook, both things that the books just didn’t cover well. As soon as we’d done the first round I found my rhythm and zoomed on, pausing only to learn how to fasten off and to learn how to change colours. I turned into the sort of person I usually hate in these sorts of situation – the person who just got it! I even used a bit of the time to crochet a stripe and check some technical bits I’d been struggling with, such as which loops my hook should go through! 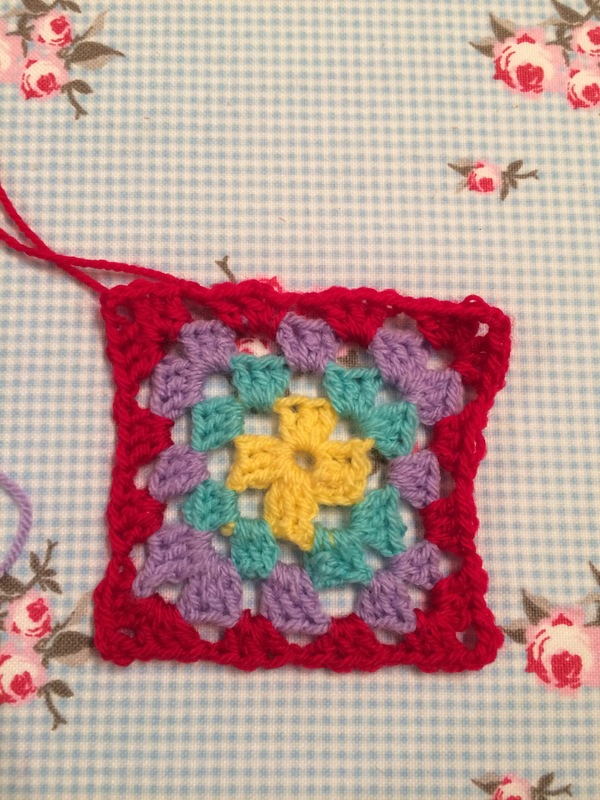 Here’s my granny square from the class. You leave with your own hook to take home too. I thought the teaching was excellent, also teaching us how to follow a crochet diagram which really is much easier than I thought and the venue very convenient (just 5min walk from Camden Road tube station) and next to Honest Burger. They have a great range of classes on offer, although a few more advanced ones might be great too. I still have some credit on my voucher so now have the difficult decision of choosing what’s next to try!